Gardening has always played an important part of what we do. We meet, eat and talk. We have a gardening plot at Bridgend Growing Communities allotments. Although our main focus over the past couple of years has been working towards the Royal Highland Show we still grow the basics there. 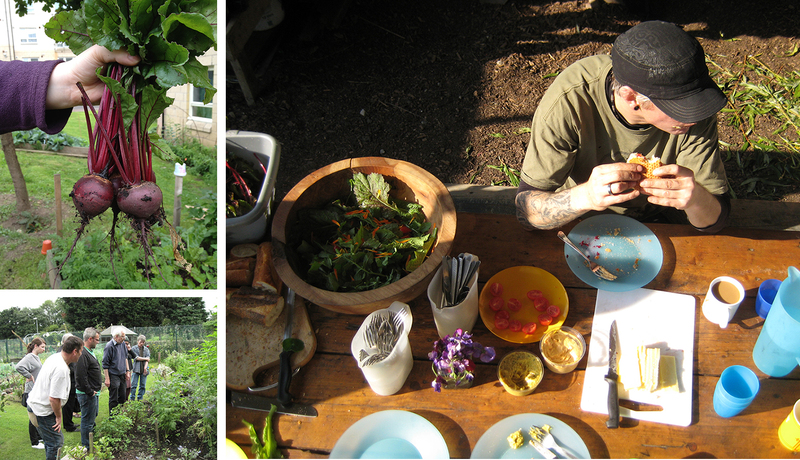 It allows us the chance to have a bit of lunch together, catch up and utilise the small bit of garden space we have at our disposal. We have also supplied organically grown fruit and vegetables for the local restaurant Blackfriars. ← One of the participants grandfather worked as a beehive maker in the 1930’s which sparked off a conversation about beekeeping.